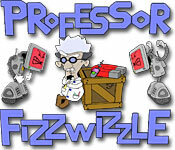 Professor Fizzwizzle is rated 4.7 out of 5 by 9. Rated 5 out of 5 by alphafem from EXCELLENT GAME FOR CHALLENGE LOVERS!! I don't write many reviews (too shy) but Professor Fizzwizzle merits that I abandon my comfort zone. My first love is HOPA's. The (well done) Hidden Object scenes, the Adventure, and the Puzzle/mini-games (I'm a mini-game junkie!) THIS game feeds my "challenge" needs when most others do not. It is kind of my "go to" game, when I'm bored. There are no time limits, and it is user friendly to the max. It WANTS you to succeed, level to level, and will help you in every way. All YOU have to provide is your love of challenge, a sense of humor, and for me...a die hard attitude!! It is a thrill, and a pleasure for me to play this game. The question marks appear only to introduce new items needed to progress in the game...their benefits and limitations...and only appear ONCE EACH...so take heed. (but you can turn them back on, if needed to refresh your knowledge) If you LOVE a challenge, you will truly appreciate this game! 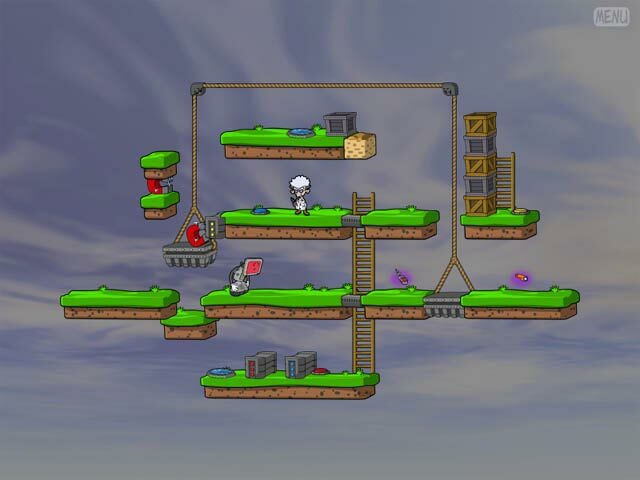 You can re-set your level at will, change levels, replay back a few jumps...you name it. Totally user friendly!! Just bring your "A-Game"!! It is very addictive!! Rated 5 out of 5 by TooOld2Play from Let the Challenge Begin! Just a disclaimer. I like strategy, time management and puzzle games and have been moving away from the Adventure theme. This game is fun and yet challenging. Even though you may "cheat" at the solution provided, it doesn't necessarily make it easy. Part strategy, part technique. It's a good diversion from the story themed games and will keep you entertained for a rainy couple of afternoons. Rated 5 out of 5 by AdrianaIP from Have fun with Fizzwizzle and rage robots... These are nice puzzles that make you really think. Take as much time as you need, and if it does not work, try, try again. And if you are REALLY frustrated, see the solution. Some of the solutions are tricky, and what looks obvious isn't. Good way to stretch you brain cells. Do I have to add that Fizzwizzle and the rage robots are really funny? Rated 5 out of 5 by Ladysmyth from New Favourite This simple looking game features a cute character and simple game play. Little to no speed or dexterity is involved and luck or luck of the deal doesn't come into play. This is pure: you and your ability to solve simpe (?) logical sequences are the only factors! Love the challenge which increases at just the right speed, love the sequential introduction to more and more tools, love that you can "peek" at the solution if you are stuck without giving the entire puzzle away. Great, mind-tickling fun. I can see that I will be trying to "dream up' solutions long after I have shut down the computer and gone to bed! 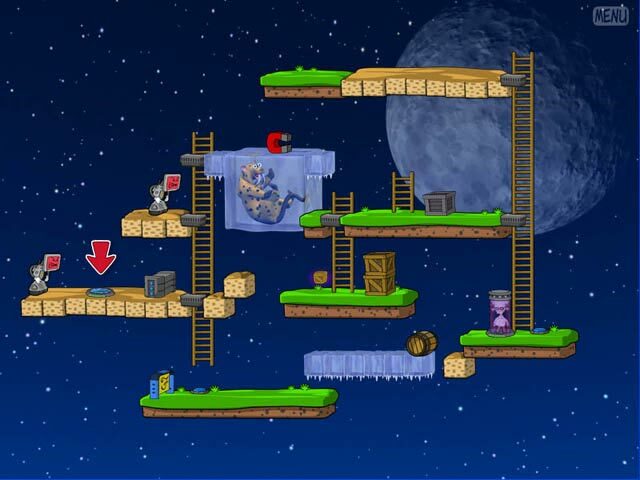 Rated 5 out of 5 by AshleyET from I LOVED this game! Still love it, in fact! 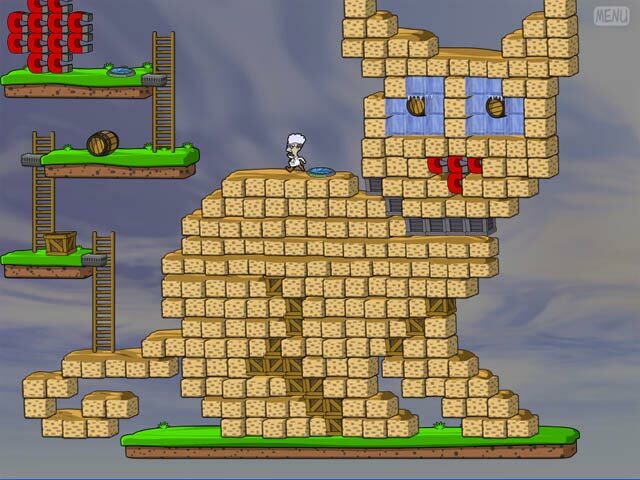 The puzzles are creative, challenging and best of all, FUN! Can I just beg the creators to make an app for the ipod/phone and/or pad?? I've been searching off and on just in case...I promise, I would buy it in a second! Rated 5 out of 5 by Redlilly11 from A Game that's Much Fun! Awesome! Please play this game its much fun play it for hours & hours........... I LOVE IT! Rated 5 out of 5 by winnerkooties from A game that is fun and makes you think I love both Professor Fizzwizzle games. I play over and over. They are a challenge every time. The graphics are excellent, the sounds are so funny, and the Professor cracks me up with his little antics while he is waiting for you to think through a move. A big plus is that there are three levels so you never run out of challenges. I'm hoping they come out with another game but for now there are only two. Well worth your money! Rated 5 out of 5 by lollie55 from Professor Fizzwizzle I love this game!! It's sooo much fun, really challenging and quite the brain teaser. I like that you can take as much time as you need to figure out what moves to make. Great exercise for the brain! I could play this for hours and hours... Get it, buy it, love it!!! Rated 2 out of 5 by MYNAMESTAKEN from Could have been fun but spoiled by stop - start format. I was so disappointed with this game. It has the potential to be so much fun, but gameplay is constantly interrupted by instructions. Every level has two or more (usually more) question marks. Every time you pass a question mark, you're stopped and taken to an instruction page. There's apparently no way of turning them off or stopping this from happening. It doesn't just give the instructions the first time you play either. No. It's every time you play. It does take the fun out of it. If there was a way to turn off the instructions, it'd be great, but as it is there are much better games in the same genre.